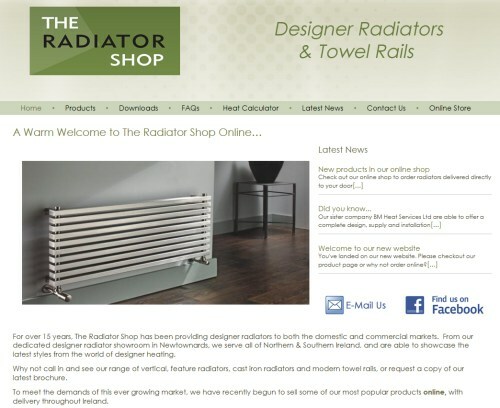 The radiator shop based in Newtownards required a new website to demonstrate their range of designer radiators throughout the UK and Ireland. The website includes a range of different sections with examples of raditors that the clients can update themselves. An online shop is also available selling a range of the companies most popular products. This range can be edited and updated inhouse as well. A heat calculator allows customers to calculate the exact room heating requirements for any size of room.